A heuristic evaluation is a fast and cheap process to improve your site’s usability. Personally, I found that it helps to optimize silly and obvious mistakes which, when fixed, make for a much better overall experience. You’ll find that these evaluations are simple to do and I urge you to embrace them and use them as often as possible because you will never catch everything at a single glance. A heuristic evaluation is usability inspection method to identify usability problems in the user interface (UI) design. It is by far the most popular of usability methods because it’s so simple to perform but crucial in finding bugs. Think of it as an inspection of the design you currently have. The overall goal of a heuristic evaluation is to find bugs and fix them as part of a iterative design process; they are used to find gaps that could interfere with the end-user’s progress. Evaluations are usually performed by multiple people, but individually. That means they’re unbiased, which result in finding more bugs. I find it helpful to evaluate a website every few months with only a few people at a time – always a new set of users. It’s quick and effective as it helps identify things which you may have missed. The evaluation process came about 1990 by Jakob Nielsen, who was looking for a quick solution to test computer software. User testing was extremely difficult and costly at that time. In order to user test, you often had to train people to use the software which was an awful burden. An evaluator conducting a usability test. Jakob developed this method over years and has defined 10 rules of thumb, hence heuristic, that are guidelines for the evaluators to stick by. Back in the day, there was no such thing as UX or conventions for that matter. Heuristic evaluations have been at the very beginning of user centered projects. Like I’ve mentioned, a heuristic evaluation is quick and dirty way to figure out what needs to get fixed on your website, app or software project. You are not supposed to invest too much time or money into this method, which is what makes it so great. Think of it as a way to eliminate usability problems, and do so fast. A heuristic evaluation of a small to medium website, say up to 25 pages, would yield results and possible solutions within a day – possibly even before lunch. It also eliminates the need to schedule, organize and run user tests with actual users which can be a big hassle. There are ten heuristics that Jakob has outlined and modified over the years. The following ten have been copied right from his blog. Check out the original post, titled 10 Usability Heuristics. Within a test you should take note whether the issue occurred ones, multiple times, the entire time or was actually absent which then caused an issue. A typical heuristic evaluation scorecard. Accelerators -unseen by the novice user – may often speed up the interaction for the expert user such that the system can cater to both inexperienced and experienced users. Allow users to tailor frequent actions. The process of an evaluation is simple, you have someone take a look at your project and jot down any and all issues they have come across. However, it is a bit more elaborate than that. You should always have the evaluators perform their evaluations separately so they are not pressured or biased on their findings. It’s important that the findings are somehow recorded; the best way to go is to have the evaluators write them down as they go. Typically a session should last somewhere between 30 min to an hour. Of course the bigger the project, the longer it will take to go through it. If the projects is indeed big, have the evaluator do this in sections or sessions with breaks. I will also strongly suggest that the evaluator have two walkthroughs. The first to get a feel of what is going on and then use the second one to note down all issues and problems. Additionally, you should rate everything you have found on a priority scale: fixed ASAP or not. All issues should be fixed though, I mean come on. 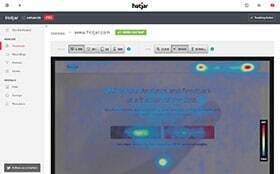 A radar plot showing a website that performs well in all areas but one. Lastly, make sure that the issues are being documented thoroughly, note where it was found, what the issues was and what you didnt like about it. There is no need for an evaluator to come up with fixes for the issues, that’s the designer or developer’s job. I hope that this was a very short but straightforward introduction. I strongly urge you to try it out on your website. Every little bit of improvements – no matter how small – helps the user’s experience. So go ahead, give it a try and let me know how these heuristic evaluations have helped you. I promise you’ll love it! Editorial note: UserFocus made a great list of 247 web usability guidelines in an easy to follow excel workbook. It’s a great help for any heuristic evaluation. That’s Jakob with a K. He’s Danish. Hi Colin, I’ve changed it, thank you for that!